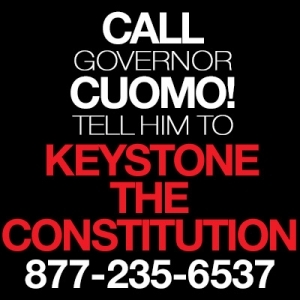 The Federal Energy Regulatory Commission yesterday upheld New York’s decision to block a natural gas pipeline, passing up a chance to use the federal trump card that many in the pipeline industry had hoped for. . . .
Constitution isn’t finished yet. Williams Cos., the lead sponsor of the project, intends to ask FERC for a rehearing and, if necessary, take it to federal appeals court, according to spokesman Christopher Stockton.